This dental malpractice claim was filed in Allegany County after a man suffered mouth and jaw pain as a result of a negligent tooth extraction. It was filed in Health Claims Arbitration on March 19, 2018, and it is the 132nd medical malpractice case filed in Maryland this year. After a flurry of dental malpractice cases filed the first two months of 2018, this is the first dental malpractice case in March. It is also the first prison dental malpractice case we can recall in recent years. This negligent wisdom tooth extraction lawsuit was also filed in January 2018 where the woman alleged unnecessary pain, scarring, and medical bills after a wisdom tooth extraction. This suit was filed in Baltimore City. A man incarcerated in Cumberland presented to the dental department with complaints of a toothache. The dentist diagnosed the man with an infection and said the tooth would have to be pulled once swelling from the infection went down. In the meantime, the dentist prescribed antibiotics to treat the infection. Two days later, the man reported back to the dental department. A different dentist made an attempt to pull the affected tooth but broke it in the process. Instead of properly completing the tooth extraction, the dentist stitched up the man's gums with the broken tooth fragment still inside. Immediately after he left the dentist's office, the man began to experience jaw pain and headaches. Eventually, after one week of pain and disturbed sleep, the man went back to the dentist. X-rays confirmed that broken remnants of the tooth were still embedded in the jawbone and gums. The dentist attempted to remove the remainder of the tooth but gave up after an hour. The next day, the man was transported to a dental surgeon outside the prison for a third attempt at the tooth extraction. The outside dental surgeon was successful, but the man continues to suffer mouth and jaw pain. 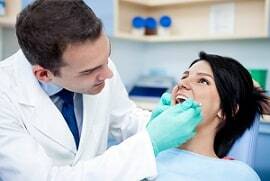 Due to the relatively small damages that typically result from an incident of dental malpractice, it can be difficult to find an attorney willing to take on a dental malpractice lawsuit. In this case, the man's injury was largely corrected during the third extraction attempt. Because he has little or no permanent damages, pursuing this lawsuit will likely cost more than the claimant would gain back in a settlement or verdict. The real challenge for an inmate in a medical malpractice case is finding an expert who will testify for you. If you have a lawyer, it is not difficult if you have a viable case. But it is likely difficult for a prisoner with a very viable case to find an expert on his own willing to testify on his behalf at trial that there was a breach of the standard of care and an injury as a result of that breach. Failing to adequately extract the entire affected tooth. As a direct result of the defendant's negligence, the claimant suffers mouth and jaw pain. Learn more about dental malpractice claims in Maryland.